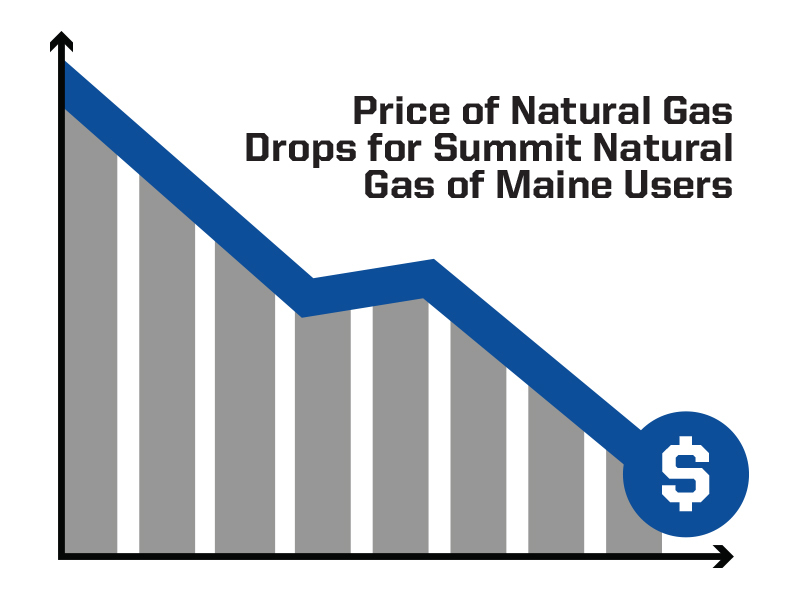 PriceofNaturalGasDropsforSummitNaturalGasofMaineUsers - Summit Utilities Inc.
AUGUSTA, Maine – Summit Natural Gas of Maine is reducing its cost of gas rate throughout its service areas. As of March 1, the cost of gas will drop from $0.83 per therm to $0.26 per therm. The new price will be in place until Oct. 1, 2016. “At Summit we are committed to providing, reliable, safe, clean-burning, fuel choice for Mainers. We aim at working to continuously provide our customers with more predictable and affordable natural gas prices and our current reduction in cost is another example of how we are living up to that commitment,” said Lizzy Reinholt, a spokesperson for the company. This reduction is due to mild temperatures this winter and dropping natural gas rates across the country. Natural gas prices have dropped more than 30-percent in the last six months. Summit purchases gas for its customers throughout each year. Adjustments to account for changing weather and market conditions are common. The lower rate was approved by the Maine Public Utilities Commission on March 9 and will be retroactive to March 1.